Worship at the Prayer Summit. 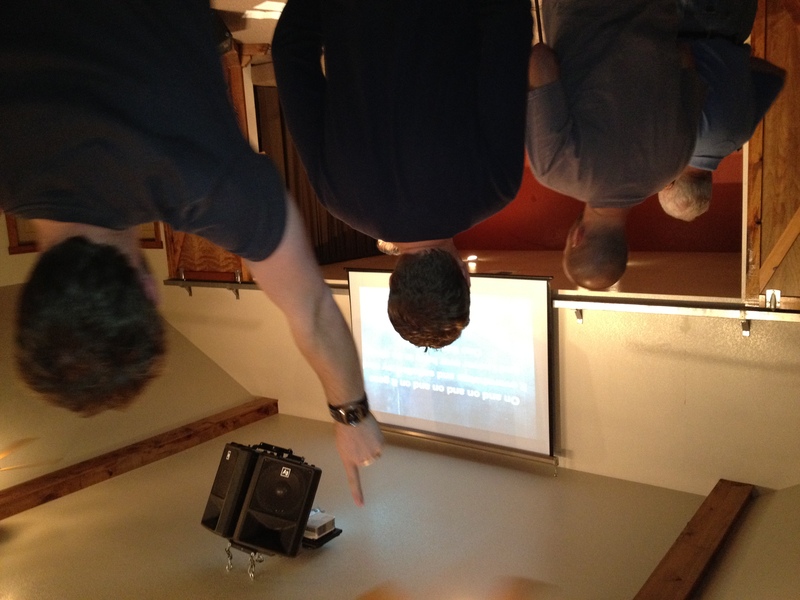 On Monday and Tuesday of this week, Kingsland’s pastoral staff participated in a prayer summit at Crier Creek Camp. Our team joined pastors from churches throughout Katy and the surrounding communities for a time of worship, renewal, encouragement, and seeking the heart of God for our respective communities and the nations. It was a refreshing experience that reminded me that we are part of a larger network of men and women that are deeply concerned about making Christ known from Katy to the ends of the earth. The prayer summit was also a reminder that we need one another. The task of serving God’s purposes is too big for any one of us or any single church to accomplish alone. I especially appreciated the challenge to reexamine my own life during our worship and prayer sessions. During one session I reflected on something I had read years ago. A writer that was doing research for a book interviewed pastors from around the country and concluded that while he had found lots of passion for God’s work, he had found little passion for God. Ouch! I have to confess that I have been guilty of this kind of imbalance in my own life. It’s the kind of thing that happens a little at a time as we get so caught up in the work that we lose touch with the One for whom we labor. When I got home from the prayer summit, I looked through my files for something I had written in November 1990 about three things that will always cause us to lose our edge. Rereading these notes from my journal helped me to better appreciate the opportunity to spend Monday and Tuesday with others who are zealous for God and His glory and who helped me to sharpen my spiritual edge. Here is my journal entry from November 1990. Service is among the things that can cause me to lose my edge. Just as an axe or pencil must be periodically sharpened in order to continue to be useable, so must I be periodically sharpened. I cannot serve without periods of rest, refreshment, and renewal. If I try, it will surely cause me to be less effective in my service and to eventually burn-out. Service becomes exhausting when I labor in a dulled condition. According to Proverbs 27:17, my edge can be restored by coming into contact with others. I need the feedback, encouragement, counsel, and checks and balances of others. But in order to have my edge restored, it’s important to heed the wisdom of the text: “Iron sharpens iron.” I cannot be sharpened by just any individual. If I need to be sharpened mentally I must come in contact with mentally sharp individuals. If I need to be sharpened spiritually, I must come in contact with spiritually mature individuals. If I need to be sharpened morally, I must come in contact with morally pure and upright individuals. Sinning against God is one of the surest and quickest ways for me to lose my edge. Sin is corrosive. It removes the brightness from my countenance, the joy from my service, and the clarity from my vision. It can quickly dull my life and service. Thank God that my edge can be restored by confession and maintained by accountability. Proverbs 27:6 states, “Faithful are the wounds of a friend, but deceitful are the kisses of an enemy.” My life can be kept morally and spiritually sharp when I give others permission to speak the truth to me in love (Eph. 4:15, 25) and to hold me accountable. I must be willing to allow others to wound me, if necessary, in order to keep my edge. I am glad to have had the opportunity to get away with our Pastor and staff this week to reconnect with what is really important, to reexamine my own life and service, to have my edge sharpened for greater service, and to be reminded that there are so many others who care deeply about our community and who desire to see a movement of God that will lead us closer to the day when Katy and the nations will be “full of the knowledge of the Lord as the waters cover the sea” (Isa. 11:9).